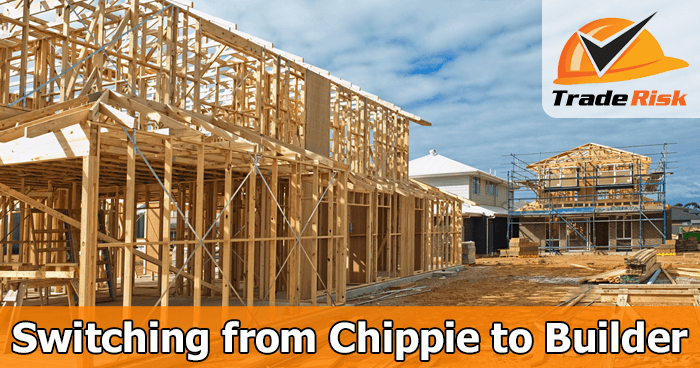 It’s the classic career move for many carpenters – making the jump to a licensed builder. For some the term ‘builder’ means building decks or undertaking renovations, whilst for others it is literally building new houses. Whichever end of the scale you’re at, the fact is that you’re a licensed builder and you’re building great things! 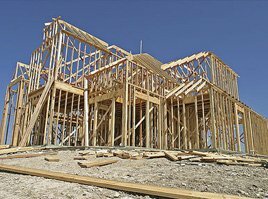 When switching from a carpenter to a licensed builder there are changes required to your insurance, and this is what this article will be focusing on. The most important thing to remember is that Trade Risk can still look after you! Whilst we call ourselves the ‘trade experts’ we also insure over 100 licensed builders from all over Australia. 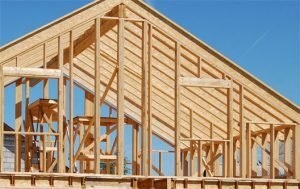 What’s the difference between carpenters insurance and builders insurance? Your basic requirements aren’t going to change too much. As a self-employed chippie you should already have public liability and tool insurance, and both of those are still important as a builder. The public liability insurance will need to be updated to reflect that you’re now a licensed builder, so you’ll have to contact us to arrange this change. Depending on a few factors, the cost of your public liability insurance might not change by too much when you make the change. It all depends on your circumstances. Often the big change will be in turnover. Whilst working as a carpenter and typically just providing your labour, your turnover might have been $100k or so. But as a licensed builder, supplying materials and subcontracting out works, your turnover might increase to a few hundred thousand or a million plus. This is what will affect the cost of your insurance, rather than simply the fact you are switching from chippie to builder. As a licensed builder there are some forms of insurance worth considering, that may not have been relevant to you as a carpenter. Contract works is one of the big ones, especially if you’re going to be running decent sized jobs. You can read more about this form of builders insurance by following the link to our dedicated contract works insurance guide. It works hand in hand with public liability, and in some cases can actually replace your public liability via a combined policy. Whilst public liability covers property damage and personal injury as a result of your negligence, contract works covers basically the same thing, but when you haven’t been negligent. For example if a storm came though and destroyed your work in progress, but you were in no way negligent (i.e. it wasn’t your fault) your contract works insurance would respond. Your public liability insurance wouldn’t cover you here because you weren’t negligent. As a carpenter operating as a subcontractor you generally wouldn’t have been responsible for this type of thing, but as a builder running your own jobs you will be. Another type of cover which works along similar lines is contractual liability insurance. This form of cover is important if you are contracting to other large building or construction companies. We recommend speaking with one of our experts about this. Depending on which state you’re located in, you may be required to hold builders warranty insurance. The cover is known by different names in different states, such as Domestic Building Insurance in Victoria, Building Indemnity Insurance in SA and Home Indemnity Insurance in WA. Whether or not you need this cover depends on the value of the building contracts you are entering into. These amounts vary from state to state. As a subcontractor you generally won’t have needed to worry about these insurance types, but as builder you most likely will. Although we deal with clients Australia-wide, our base is in Queensland, where builders warranty is managed by the State Government rather than insurance brokers. This means our experience with builders warranty insurance isn’t as good as it is for other insurance types (such as public liability and contract works) however we can still assist in most cases. If you’re making the jump from carpenter to builder we strongly recommend speaking with one of our insurance experts. Whilst insurance for carpenters is easy to quote and buy online, builders insurance can be a little more complex, and with more at stake it’s better to get the right advice. At Trade Risk we insure close to a thousand carpenters, and around one hundred builders. We know what your risks are, we know what you need and we know how to look after you. For more information please call us on 1800 808 800 or complete our online contact form.